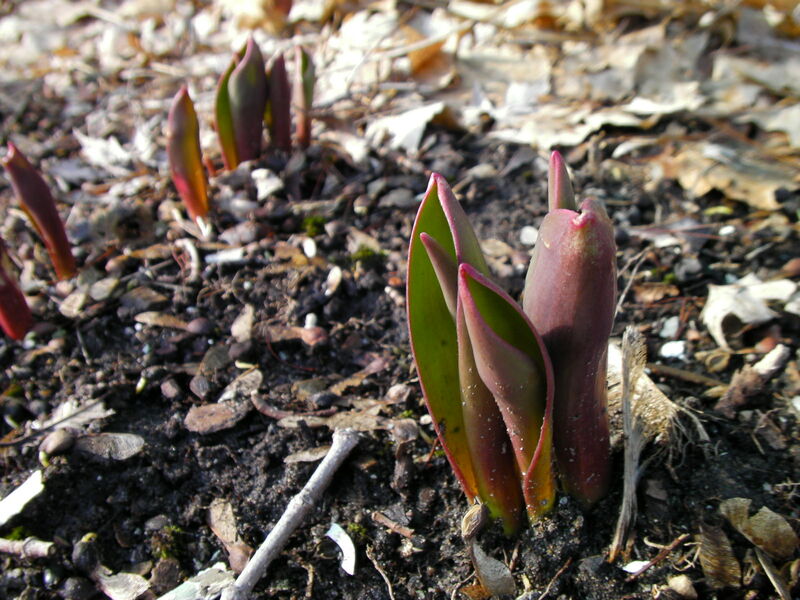 I got back from the gym this morning, and this is what I saw…all my tulips are finally starting to come up! Yahoo! Can I describe the rush of joy? The inexplicable happiness of knowing that in a few short weeks, I’m going to have over 200 blooming beauties in my yard? Nope. There just aren’t words. 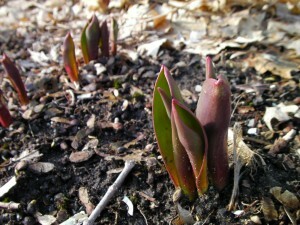 But, the arrival of my tulips made me realize that Spring really is almost here! Which means, Spring Cleaning. Now, I have to admit a shameful secret here. I love Spring Cleaning. Please don’t groan or throw tomatoes at me, but there’s just something about throwing open all the windows and getting rid of winter’s dust, dirt, salt, and stagnation that makes me really, really happy. It’s like getting a new lease on life. Yes, it’s a lot of work, but it’s good work. It’s energizing, and is a great way to burn calories and get excited for the warm days of Spring. So, in honor of the First Day of Spring (which is this Friday, thank you, Universe) I decided to compile the Master List of cleaning and recycling articles from the Greenest Dollar. 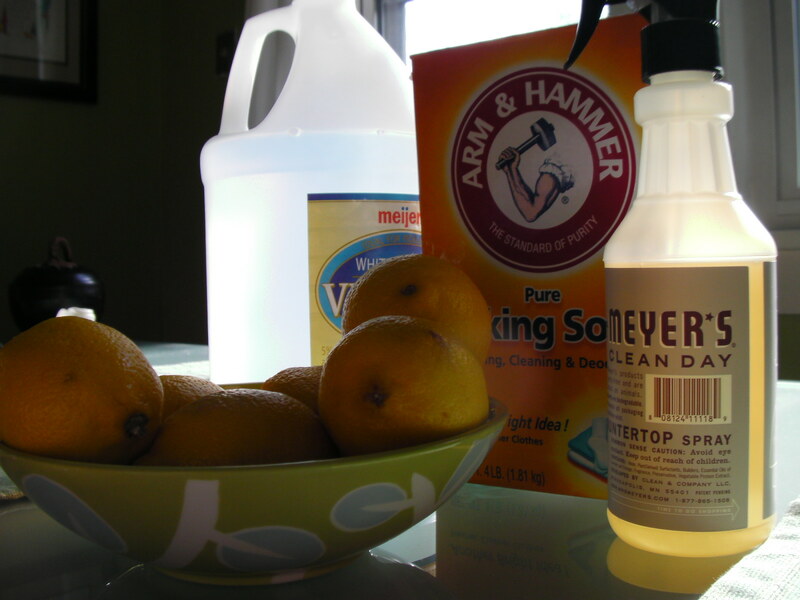 If you’re starting your Spring Cleaning soon, then this is a great way to learn how to do it greener. So, ready to start your Green Spring Cleaning? Me too. I was on a major decluttering/recycling kick this weekend, so I figured that many of you will probably start with this step as well. Here’s a great list of articles on how to recycle/reuse many of the things you’ve got lying around the house. It’s easy to use green ingredients when it comes time to clean house. 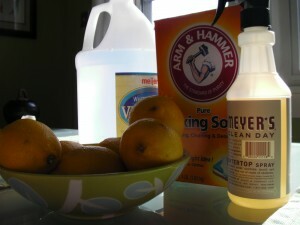 I normally use only 4 things: vinegar, baking soda, lemons, and Mrs. Meyer’s Clean Day Cleaning Spray. Just so you know, there’s a new green cleaning company in town, ecostore USA. They’re based right here in Michigan, and they’re sending me a few of their products to try this week. I’ll be writing up a review, probably next week, to let you know what I think. I think they’re going to be great, however. Other green bloggers have tried these products and loved them, so I’m sure I’ll be happy. So, stay tuned for that update coming up!